"“Spending one year in San Francisco exposed me to new business concepts and innovative working methods.”"
As a marketing manager, Stephanie Tang was tasked with the optimization of the client experience, business development and general marketing for Newtree in San Francisco. 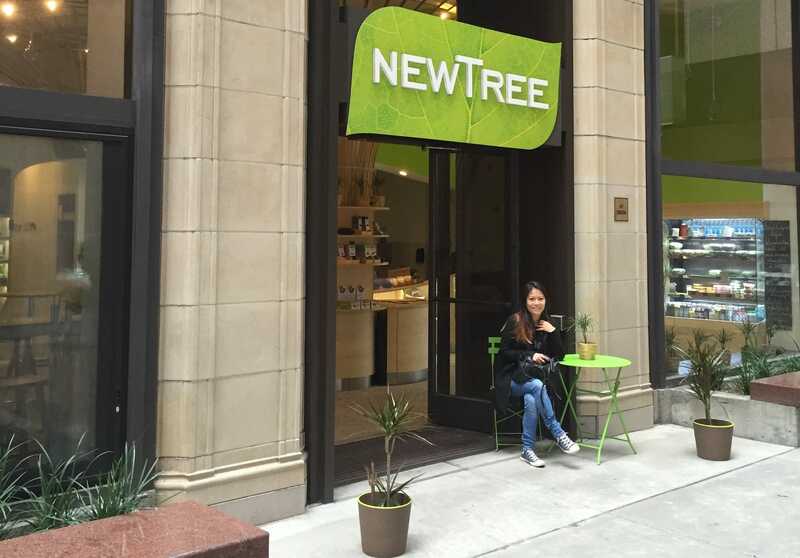 Within the framework of her Prince Albert Fund project, Stephanie had to help Newtree open a third café in San Francisco. The company has already implemented a café concept in the Californian Bay, called ‘Savor Life’, which serves organic food (pastries, fresh soups, salads, sandwiches) as well as selling Newtree’s chocolate products. Stephanie professionalized the operating structure of these shops/restaurants, establishing new and clear standard procedures for deliveries, placing orders, streamlining food service, etc. As the head of the kitchen staff, she also learned how to motivate teams of workers as well as solving internal conflicts. Her work represented a solid base for Newtree to expand its activities in this market. Having previously worked for large companies, where the role and function of each employee is well defined, Stephanie was faced with a new type of professional environment during her Prince Albert Fund assignment. Aside from the fact that doing business in America is very different from Belgium, especially in the hospitality industry, Stephanie also had to adapt to the small size of the organization. “I learned that in the U.S., the customer is king and that the slightest wrong move can result in you being sued!”. Later, Stephanie was approached by several Belgian companies. Who knows, this experience might even lead her back to Silicon Valley! NewTree SA is a Belgium-based company that operates in the food processing sector. It produces chocolate bars and sandwich spreads made from fruit and natural plant extracts. The company’s products are divided into five different lines: Chocolate, Cookies, Spreads, Gifts, and Lifestyle. Newtree has a commercial presence in more than 25 countries, where its products are marketed through supermarkets, department stores, cafés and specialized food retail outlets.